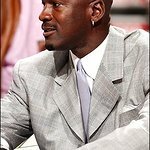 Make-A-Wish Foundation has awarded Gordon Ramsay, Michelle Wilson, Rosanna Pansino and Stephen Curry with the Chris Greicius Celebrity Award for their pivotal role in furthering the Make-A-Wish mission. These individuals uniquely delivered unforgettable wish experiences while also using their celebrity platform to increase awareness and fundraising efforts for the world’s largest wish granting organization. 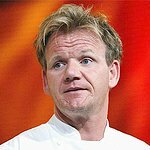 Gordon Ramsay: Celebrity Chef Gordon Ramsay recently challenged himself to confirm 24 wishes in 24 hours, inspired by the launch of his new show “24 Hours to Hell & Back.” He contacted several of his celebrity friends to help him meet his goal. In the end, Gordon confirmed 32 wishes. Michelle Wilson: The co-president of WWE has made an impact on every level of Make-A-Wish, serving as a Make-A-Wish Connecticut board member and generous donor. On a national level, she has been a Make-A-Wish Corporate Advisory Council Member and trusted advisor for the re-energized World Wish Day campaign. She has also been instrumental in generating new leads in the industry for sponsors and key influencers. Rosanna Pansino: The YouTube creator and American baker has put aside lots of time to bake and create “nummies” with each wish kid. She then provides them with gifts to continue making tasty treats back at home. She often posts her wishes on her channel, bringing the joy and impact of a wish to her audience of more than 10 million subscribers. Stephen Curry: The NBA Champion and league MVP has been granting wishes for the past five years. From granting one wish his first year to 24 wishes this past year, his desire to create memorable experiences has only grown. For his latest group wish, Stephen rented out an entire amusement park for him to hangout and go on rides with the wish kids. The Chris Greicius Celebrity Award – now in its 30th year of existence – is announced every year at the Make-A-Wish Annual Conference where hundreds of staff and board members from the 60 chapters nationwide gather for a week of learning, networking and inspiration. The award is named after Chris Greicius, the 7-year-old boy whose wish to be a police officer inspired the creation of Make-A-Wish in 1980. In fiscal year 2017, Make-A-Wish granted more than 15,400 wishes – more than 1,000 of which involved a celebrity. In addition, celebrities have the power to inspire and move their audiences to action in order to help Make-A-Wish grant more wishes. To learn more and find out how you can get involved, visit wish.org.